Wordbridge is a magazine of literature and literature in translation. Its aim is nothing less than to bring to the reader literary works from established and new writers, in the original language and in translation. Its part in translation is to introduce a foreign literature to those who appreciate not only the enjoyment of reading, but also the knowing and understanding of other cultures. The magazine is published biannually. It features selected pieces in a variety of genres, and will include¾ apart from its main contents, reviews, criticism, and essays. For the past two years I've had the opportunity to introduce to the online reader some English translations of fiction and poetry from Vietnamese authors through The Writers Post magazine at www. thewriterspost.net. This electronic literary magazine was launched on July 1999, with an emphasis on what the Wordbridge intends: to bring to readers who may want to read the literary works originally written in the Vietnamese language for long entrenched behind the barrier of language. Both magazines are under my editorship, and will work in association with each other. In the more than twenty-five years of its existence in the western part of the globe Vietnamese literature has been part of this literary society, and yet Western reading people seems despair of ever finding their way to it; under the eyes longing for reading, works published in the most established and respective literary magazines remain secret in a language of lesser currency. Intended for the interested reader, the Wordbridge launches herself on searching a road of crossing the barrier of language, existing as a pioneering literary magazine of Vietnamese literature in translation, serving as a cornerstone. For my part, though not a translator myself, I believe I should attempt some translations, as far as the limit of my ability allows, as I had tried while editor-in-chief of Song Van magazine. 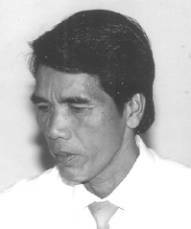 The main emphasis of the translation will not, of course, on merely selecting representative pieces by published writers among the total of some three to four hundred Vietnamese writers ranging from little-known to famous living abroad, but also on the existence of the pieces themselves in the literary community. However they may be chosen, they are by no means considered intrinsically superior to the others not translated and published in the Wordbridge. The translations, however, if not by the author but a translator who is responsible for the accuracy of the work, is selected. Even if the playfulness of words, the way of tongue, and the difference of cultures could lead to the possibility of confusion and make mistakes unavoidable, a translator should not make himself excused. A translation must not be an imperfect reproduction baffled with the translator's carelessness when retrieving the original content into another language. To translate, in my view, is to transpose, i.e. to play a piece of music in a different key in which, what is laid beneath the music, behind the playing words this key or language carries the other, except where it is possibly impossible as in poetry, would do. No translation would show the original at its authentic level, good or bad, of course; and yet the original, though from which the authentic voice of the author and his own style of expression can not be "translated", must not be obliterated by the translator's misunderstanding the meanings of words, their intrinsic value, or the various meanings of such words in different positions in sentence structure. Mistakes, if found, must be corrected. However, an attempt to get a better communion with the original in the Vietnamese language, which is much simplified through its evolution over many thousands of years, could drew to flexibly using English, and I will not appreciate any suggestion. Although the main part of what it aims is an emphasis on translation, the Wordbridge is one of the most easily accessible literary magazines of writing, publishing literary works by established and new writers, offering a platform for opinions, essays, review, and criticism. Established and new writers are equally welcomed. Published authors who try to introduce their pieces through their own art of translation are generally accepted. New writers are always seriously considered for publication. Submissions are considered on their own merits, and no author's publishing background is particularly advantageous to the work, as stated in the guidelines. We banished the terms aspiring writer and beginning writer from the Wordbridge's vocabulary. A writer is not aspiring or beginning when he at last decides to submit his work, in his capacity as a writer, to a literary magazine. In fact, he is a new writer. New¾ because he has just now decided to come to the literary community. Thus, the Wordbridge's contents will be a lively mix of different cultures as different literatures are meeting at the crossroads. The task is difficult and resources are limited, that I am full aware of. To labour to launch this pioneering magazine of literature and literature in translation I am truly indebt to the translators, the contributors, the contributing authors who granted me the translation right of their works, the periodicals the newspapers that made this magazine known to their audience, and the distributors who made this magazine accessible to the reader. Hope this bridge¾ the Wordbridge, and the likes in the near future, will bring us together. For guidelines, please click here. Person: N. Saomai, Editor, Wordbridge magazine.